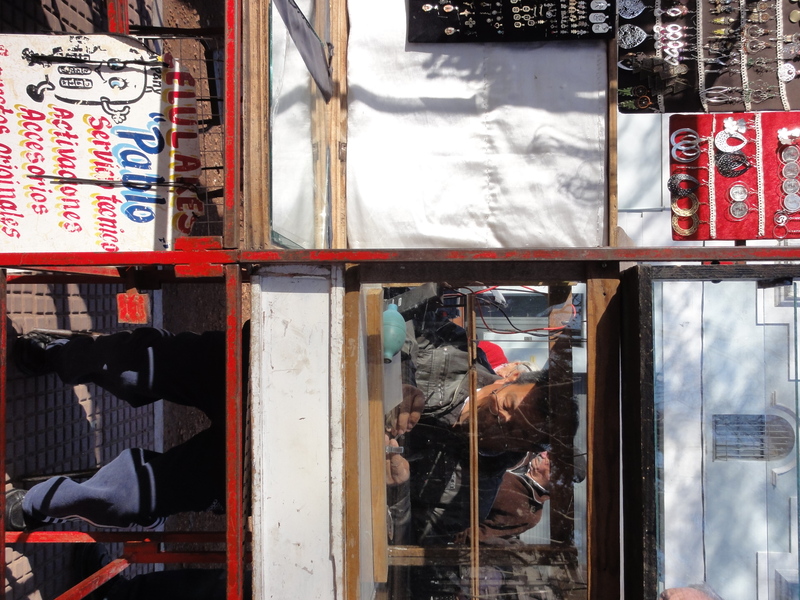 This last summer, I traveled throughout Latin America in search of public markets and street vendors with the help of the USC School of Architecture and William and Neoma Timme Fellowship. 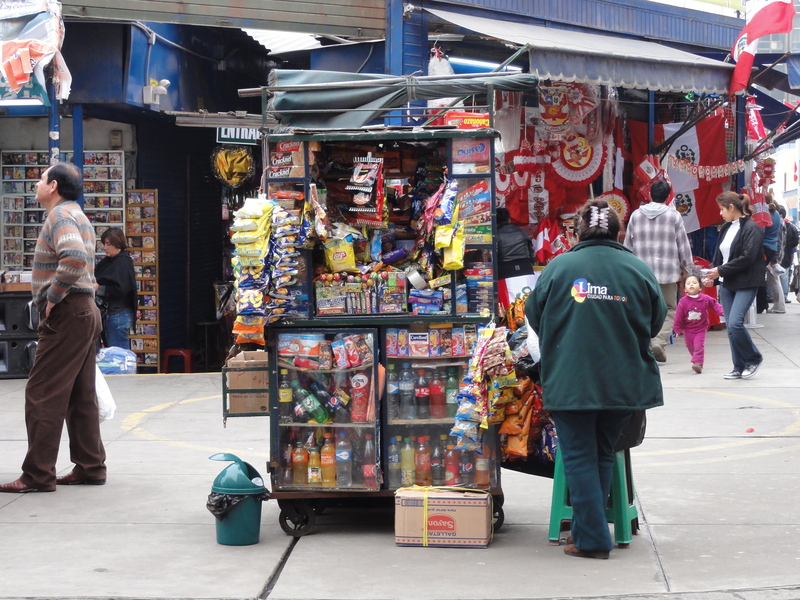 By observing and documenting public market and street vending typologies in Latin America, my research focused on furthering the understanding of relationships between formal design and the “ephemeral,” often informal, and contentious practice of street vending. Based on my research methodology, which includes textual, photographic, and drawn documentation, as well as interviews with professors, practitioners, city officials, vendors and local community members, I will provide profiles and analysis of each city over the course of the next several months. However, to begin, I am presenting an introduction to my overall experience and takeaways. Approximately two weeks were spent in each of the following cities: Santiago, Chile; Buenos Aires, Argentina; Sao Paulo, Brazil; Lima, Peru; and Mexico City, Mexico. 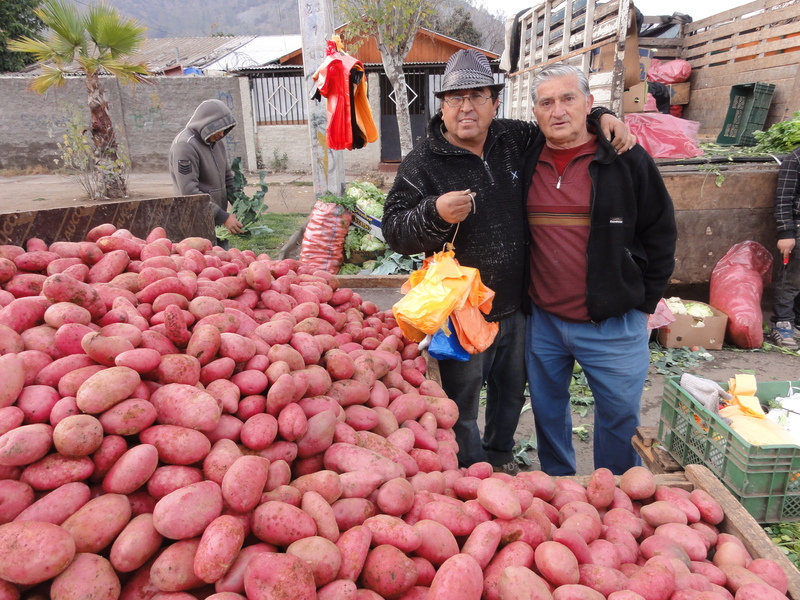 Although I stayed for a short period of time in each city, the local contacts and visits — ranging from small neighborhood fairs to lesser-known late-night/pre-dawn multi-block markets — allowed me to get a solid and unique overview of how public markets and street vendors are perceived and dealt with in each city. These visitations included the occasional rush of adrenaline provoked by unanticipated dangers (like slippery, muddy puddles) and humorous and entertaining revelations of local identity (such as the ever-present, fully-dressed, seemingly homeless dog). These unsettling questions followed me to Brazil and over to Peru, where even more seemingly unmanageable scenarios were witnessed and bits of optimism were sprinkled within a larger deflated sense of being able to manage all the powers involved. Much of the same was also seen in Mexico City where, as one Chilean professor had put it when speaking of his own local conditions, street vendors were “rampantly” taking over the streets. However, Mexico City also offered a glimpse of hope. There, I met and interviewed architect Arturo Ortiz Struck, whose extensive and acclaimed experience conducting design outreach in informal settlements has lead him to conclude that when it comes to the informal, the designer’s role is, well, nearly inconsequential. Upon an immediate reading of this, his conclusion may seem depressing to an eager designer, however it does have a hint of optimism to it. He elaborated by stating that designers interested in improving informal conditions are going about it in the wrong manner, for the most part; instead of trying to design spaces or activities, even if community members are included throughout the entire design process, designers should instead be teaching people and communities how to design and build themselves. If untrained individuals are the ones building more than half of the built environment, why not just teach these people how to do it ‘right’? As a result of his conclusions, he is currently working with the Mexican government to rework K-12 curriculum so as to include design and build courses that would culminate into the actual application of students’ work. Thus, the hope is that the language of design will become a universally understood one that can be more readily used and applied. Whether these students become designers or not is not what is important, rather, that they can apply their studies and use the language they gain when discussing these and related issues with designers, political figures, and their neighbors are what is. Making the pursuit of ‘good’ design relevant and connecting the consequences of ‘bad’ design to other issues, such as health, can also build coalitions and ties between these, thus making the case for ‘good’ design stronger. The initial question – where does the designer fit in this picture? – despite given some resolve with Ortiz Struck’s approach, remains, for the most part, unanswered. Perhaps, it is the wrong question to be asked. Perhaps, as Chilean urban design professor Ernesto Lopez Morales put it, what should be asked is “How do spaces without designers work?” and “What can we learn from these spaces and the way they are designed?” As I provide profiles and analysis of each city in coming entries, these questions (and, possibly, their credibility) will be addressed. It is interesting how Arturo Ortiz’s method- “designers should instead be teaching people and communities how to design and build themselves”- may seem quite revolutionary today, even though it is actually revisiting traditional self-help methods from the 60s and 70s (Turner, etc). John Turner’s promotion of participatory, self-help solutions recognized the urban informal settlements as a legitimate place and answer for housing. As opposed to a Master planned community where a small group of planners or architects were in charge, Turner’s approach gave the money and control to the dwellers- transforming the architect into a technical/construction advisor more than anything. In the early 70s, the World Bank began various projects based on his work; even Habitat for Humanity published a self-help manual. However, one of the major problems with this approach was that the poor were defined primarily by the condition of their housing, and as such, neither services, public spaces nor employment opportunities were taken into consideration.